CatalaseNow can naturally help prevent gray hair while making it thicker and fuller with Catalase, a powerful super antioxidant scientifically studied enzyme that helps break down hydrogen peroxide, the culprit to why we go gray. CatalaseNow could help reverse gray hair, based on preliminary research from the University of Bradford, and anecdotal evidence from our happy customers. How Does our Catalase Gray Hair Pills Work? CatalaseNow can help break down Hydrogen Peroxide and the graying process. As we get older, catalase diminishes in our body with new hair growing out gray. CatalaseNow is specifically formulated for your hair by featuring a super concentration of Catalase that can help stop and reverse gray hair from the inside out while also supporting thicker and fuller hair. We have packed 5000IUs of Catalase to help stop the clock on gray hair so you can look as young as you feel. 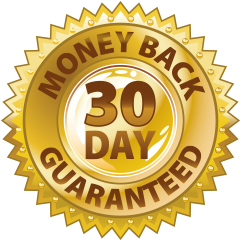 We are so confident of the results that, if you do not begin to see less gray while getting thicker and fuller hair, we will give a full refund on your purchase price through our No Questions, No Hassle, No Kidding Money-Back Guarantee.